The notes and images—obtained by the RSPCA under freedom of information—reveal sheep showing symptoms of “moderate to severe heat stress”, the animal welfare organisation says. More than 1,500 sheep died across these voyages collectively from heat stress, injury or disease—which was nevertheless under the official “reportable mortality” rate. The reportable mortality rate when these voyages took place, was 2%. It has since been reduced to 1%. The FOI material comes as the future of the trade hangs in the balance. The government has its report on heat stress out for public consultation—and this report’s conclusions could end the trade during the northern summer. Meanwhile, the industry has been pushing back against the pressure to drastically reduce or end the industry. 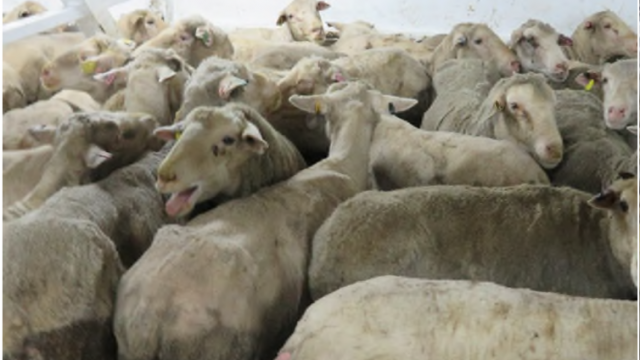 Recently it has been alleged Animals Australia paid for the footage, showing sheep in appalling conditions, obtained by a whistleblower on the Awassi Express in 2017. When it appeared in April 2018, this footage prompted a massive public backlash and a government overhaul of the industry. A recent email exchange was also leaked in which a potential whistleblower offered to turn off the ventilation on a ship for a time to worsen conditions and get footage. In a strong response from Animals Australia he was told not to do so. It has not responded publicly to the claim it provided money to the whistleblower, although it says it has directly briefed senior department investigators on the facts. The material reveals sheep experiencing temperatures of up to 34 degrees wet bulb temperature (a temperature measure that takes account of humidity; the scientifically validated “heat stress threshold” for sheep is 28 degrees wet bulb temperature) and 85% humidity. Internal temperature readings of sheep were recorded at over 40 degrees, indicative of severe heat stress. Tougher regulation imposed by the government, including new space requirements, led to an effective shutdown of the live sheep trade over the northern summer last year. The industry has volunteered a future three-month shutdown in the northern summer. But the heat stress report defines the northern summer as May to October.